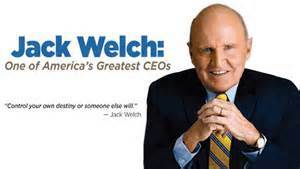 Legendary business leader and former GE CEO Jack Welch is appearing at SXSW (South By Southwest) with Gary Vaynerchuk, rogue entrepreneur and venture capitalist to discuss what it really takes to win in business. Moderated by Susie Welch, former editor of the Harvard Business Review, Jack and Gary will talk about what it takes to do business in the fast paced, ever changing global marketplace. Both will urge listeners to reject the status quo. So what does this have to do with Camp BizSmart? Dr. Mike Gibbs, CEO and Co-Founder of Camp BizSmart worked for Jack Welch as Director of Training and Development at GE Aircraft Engines. Dr. Mike was a specialist in process re-engineering and business turn arounds which gave him great insight into how to launch a venture, and take a company to the next level by creating great teams who create great products adding great consumer value. 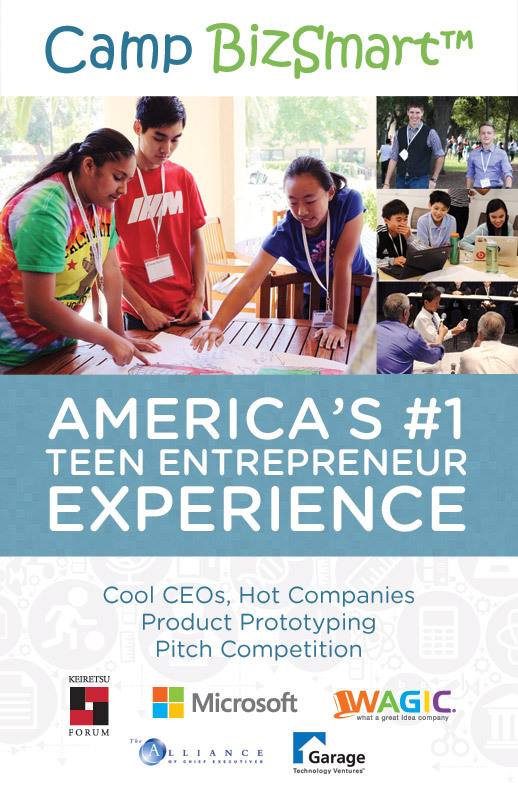 Dr. Mike has taken the very best of executive training he developed at Texas Instruments and General Electric and created an innovative, hands-on, project based program to inspire young, up and coming entrepreneurs, age 11 – 19. 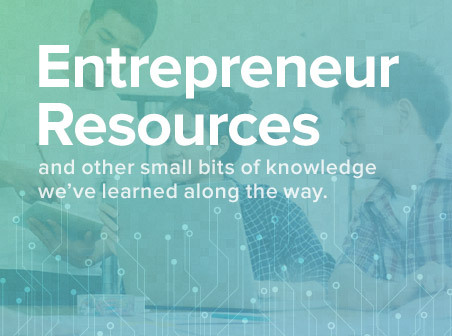 Maybe you have a product idea that you wish to launch with a team of aspiring entrepreneurs. Or, perhaps you want to join a team of others who are driven to create a new innovative product to the requirements of Cool CEOs from Hot Companies. Either way,you will be coached and mentored by successful executives and entrepreneurs like 2015 featured coach, Richard Hilleman, Chief Creative Officer for Electronic Arts. 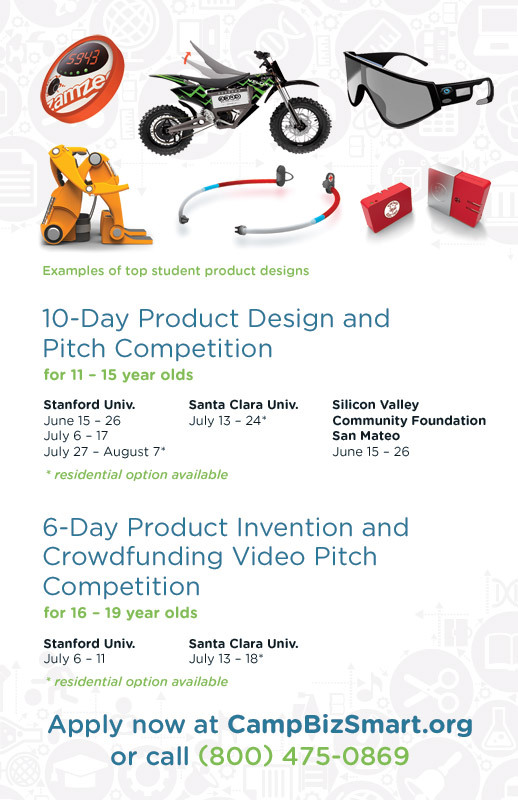 Teens 16 to 19 years of age, may choose a 6 day session at either Stanford or Santa Clara Universities to launch their own product idea that just might change the world. Industry experts like Bill Reichert, Managing Partner at Garage Technology Ventures, will talk about their experience on what it takes to take product idea through the prototype stage and film a crowdfunding video to see if the market like and funds it. Both the 10 day and the 6 day sessions have residential housing available for those who desire staying on campus at either Stanford University or Santa Clara University.